Have you ever eaten out at an event and wished you had the recipe for the dish you ordered? Now's your chance! We're publishing a recipe a month of a favorite dish here at Martin's. 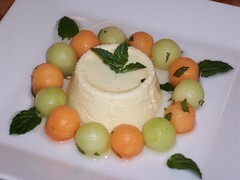 The recipes are seasonal and appropriate for small groups. They're sure to excite your taste buds. Enjoy! Happy Easter! Did you make your reservations for a spectacular Easter Sunday Brunch at the Valley Mansion? The occasion is a joy for the entire family. Find an Easter Basket on every table, check our website and see how much fun it is going to be. 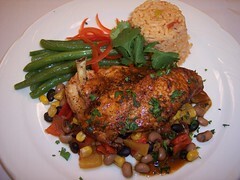 Don’t forget it is Valentine’s Day, this easy to make dish puts a little heat and passion into the food. Eastern Oysters are at peak quality in January and February. If you are planning an event, add an Oyster Bar. 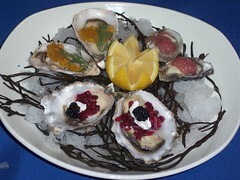 Our chefs will produce a trendy style of oyster toppings and condiments. More than four thousand years ago the costal Indians of North America ate oysters in great quantities? Unlike the ancient Greeks and Romans, the American Indian preferred his oysters cooked. In fact, the American Indian is credited with the first oyster stew. We had a blast. Everyone loved the food! The lady who assisted the bride was awesome. We can definitely recommend this venue to all of our friends. Thanks soooo much.